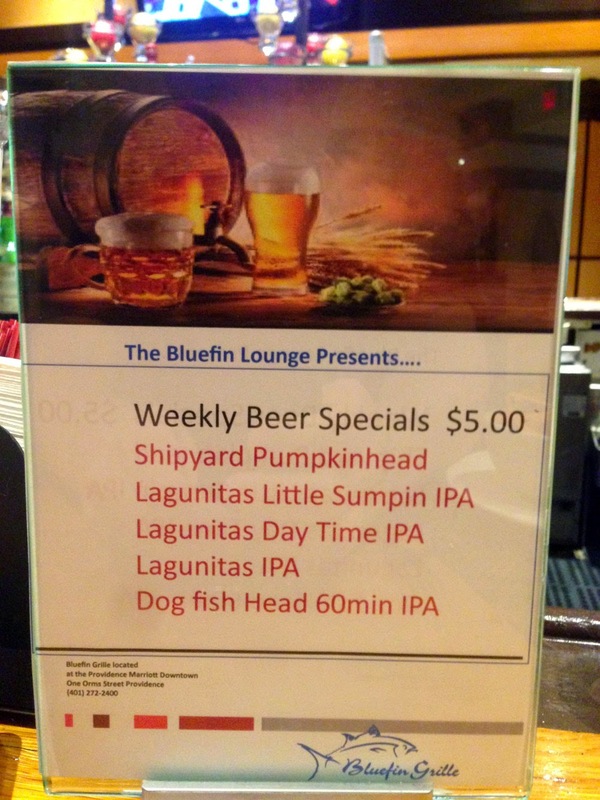 The Bluefin Grill is the restaurant at the Downtown Marriott, 1 Orms St, Providence RI 02904. 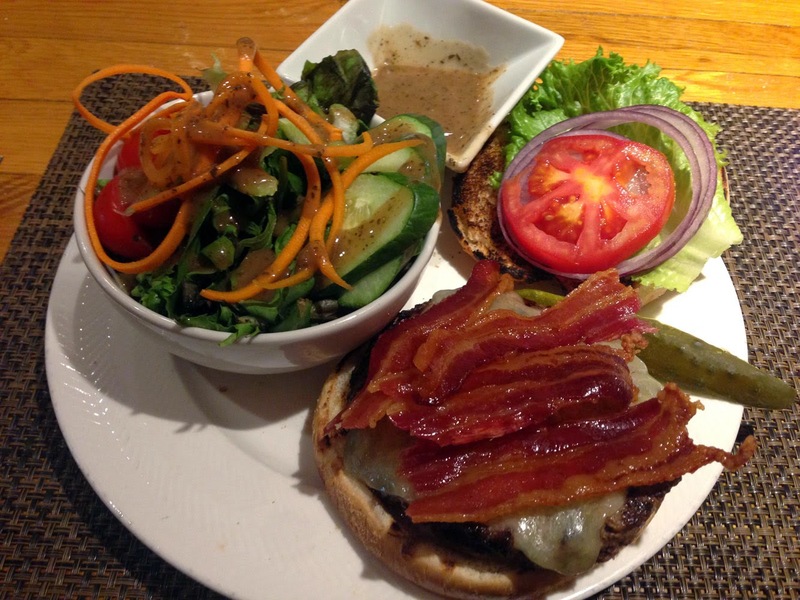 I spent 5 nights at this hotel while visiting vendors in the surrounding area and had the opportunity to sample both food and drink, mostly at the bar which was fairly busy when we returned from dinner. A couple of days in we finished early enough that I ended up being on my own for lunch - the Bluefin was just the ticket as I sat at the bar and enjoyed a couple of pints of beer (there was a list of local craft for $5 a pint - quite a deal). 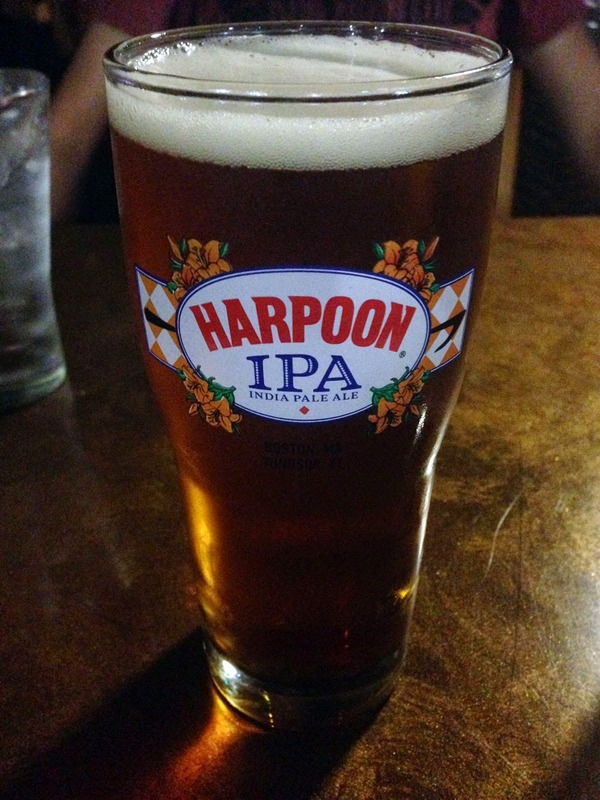 Although this is a Harpoon mug, it's actually a Dogfish Head 60 Minute IPA - one of my favorites! Service was very good and I could tell by the techniques employed by the bartender that she was well trained (not that pouring beer takes much but the mixed drinks she was making for others were very well done). I watched some local programming, made some notes for work in my notebook and occasionally caught her restocking or making some exotic cocktail. Tourists are the same everywhere, apparently. 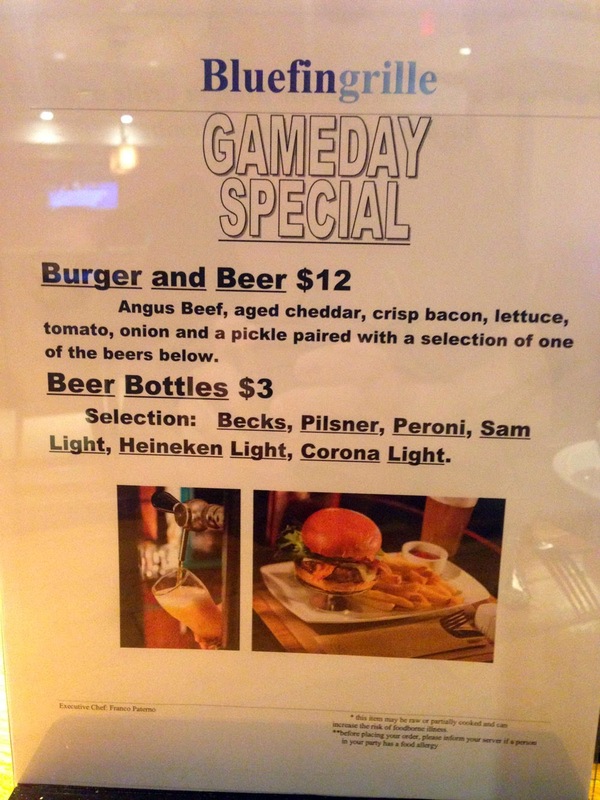 There was also a great "Gameday Special" cited "Burger and Beer $12" and "Angus Beef, aged cheddar, crisp bacon, lettuce, tomato, onion and a pickle paired with a selection of one of the beers below" - I passed on the $3 beer selection and want with something crafty. I also ordered a side-salad instead of fries in an attempt to eat a bit healthier - heh. In all, the food, even as a special burger, was exceptional. I don't know if there's a better hotel in Providence, but the food at the Downtown Marriott makes all the difference in my book.